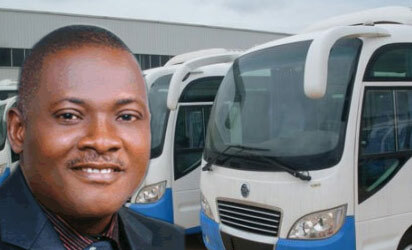 Innocent “Innoson” Chukwuma is arguably one of the fastest rising Nigerian industrialists. Natives of Nnewi, the second largest city in Anambra state, South-Eastern Nigeria, he is the frontrunner of a bunch of manufacturing-focused entrepreneurs emerging to national limelight from a city where business is the way of life. He was born in 1961 in Umudim, Nnewi,in Anambra state. He is the last of six children born to Mr. and Mrs Chukwuma Mojekwu of Uru-Umudim Nnewi, in Anambra state. Innocent began his trade with patent medicine – commonly known in Nigeria as a chemist – before jumping ship to motorcycle spare parts, which became the foundation of his business path. In the early 1980s he founded a trading company focused on importation, wholesale and retail of motorcycle parts and accessories. He exited that area and moved into big-time manufacturing. His Group consists of: Innoson Nigeria Ltd, makers of motorcycles and spare parts; Innoson Tech and Industries Ltd, plastics and household items makers; Innoson Vehicle Manufacturing (IVM), auto makers and General Tyres and Tubes Co. Ltd, Enugu state. The plastic factory is the largest of its type in Africa, and produces not less than 150 different items, from motor and machinery parts to office and household necessities. It took us two whole hours to complete the tour of the factory, which is sited at the headquarters in Enugu. Innocent’s fairy tale started in 1978 when he completed his secondary school education. He was interested in reading engineering at the university. While he waited for his result he decided to report to the medicine store of his elder brother, Gabriel to occupy his time. He immediately discovered that he had a natural talent for trading. When his result came out he was unable to make the grade required for him to go for further education. By then, he had made up his mind to be a businessman, anyway. He was given to Chief Romanus Eze Onwuka, who became his Master. In 1979, Innocent returned to his brother, who promptly registered Gabros International to trade on motorcycle spare-parts. Innocent was given the sum of N3,000 to start, and he was allowed free hand to run it. It was from this money that he rented a shop and bought his first merchandise. By the end of the year 1980, the company took stock and discovered that Gabros International Ltd under Innocent’s able hands was making more than ten times income than the medicine store. The next decision he took ultimately led to the establishment of two mega-companies that shot him to limelight: the Innoson Vehicle Manufacturing (IVM) Nnewi and Innoson Tech and Industries, Enugu, the largest plastic manufacturing plant in Africa. Moreso, Innoson Group of Companies is set to launch its brand new cars oriented for low and middle class Nigerians. Innoson group will from August 8, 2016, launch brand new cars into the Nigerian auto-market at the price of N1.5 million. According to Innocent, the vehicles which will be fully air conditioned and come with other gadgets, were made for Nigerians to have access to brand new cars. He said: “I will launch my own cars in about two weeks’ time. And the cars will cost between N1.5 million and N3.5 million, depending on the cadre. 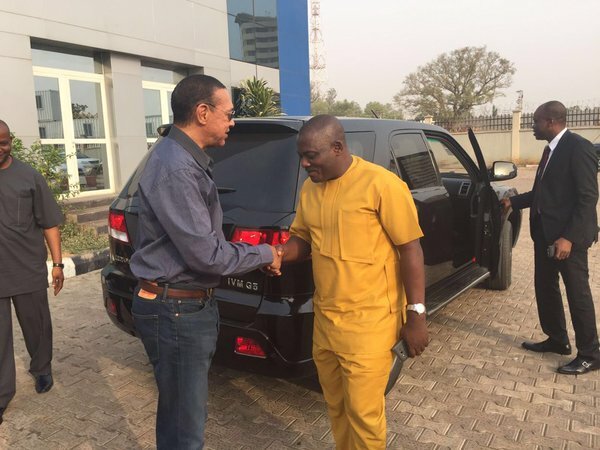 You’ll recall that Senator Ben Murray-Bruce representing Bayelsa East senatorial constituency in the National Assembly recently acquired a brand new Innoson car last month. This comes on the heels of an on-going lobby for Nigerians to patronize their own products in order for the economy to increase positively and be diversified. Innoson’s rapid growth is evidence of the succeeding national push to increase indigenous manufacturing.